Startseite | english | Sights | "Schwarzwaldbahn"
The “Schwarzwaldbahn” is connecting Offenburg and Singen (Hohentwiel) on a length of 149 km. Although, the section Hornberg - Triberg - St. Georgen is particularly attractive. The attraction is not only the harmony of the railway site with its nature, but the constitution itself is still regarded as a masterpiece of engineering in nowadays. 1873. With a vertical drop of about 670 meters and by a maximum gradient of 20 per mill, the track with 37 tunnels and a viaduct, is one of the richest with tunnels and poorest on bridges mountain railway on earth. 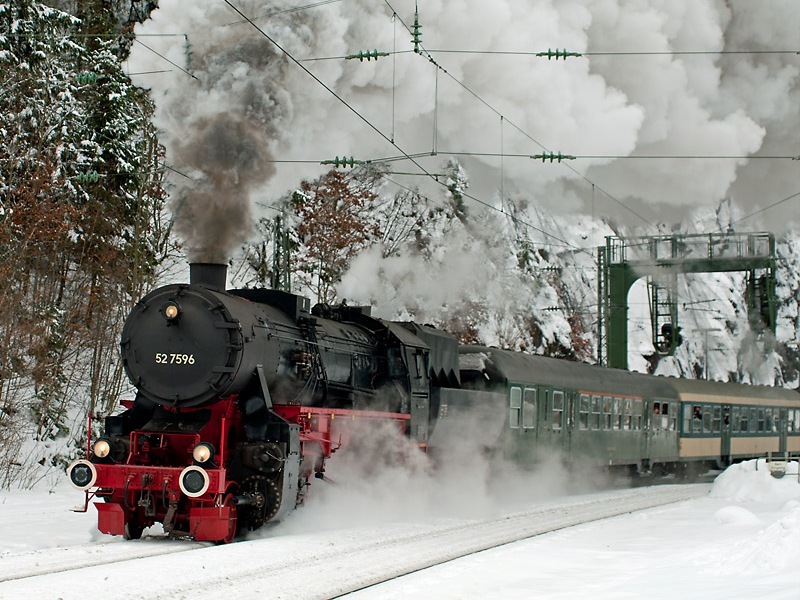 It has become an ideal and one of the most famous mountain railways in the world. 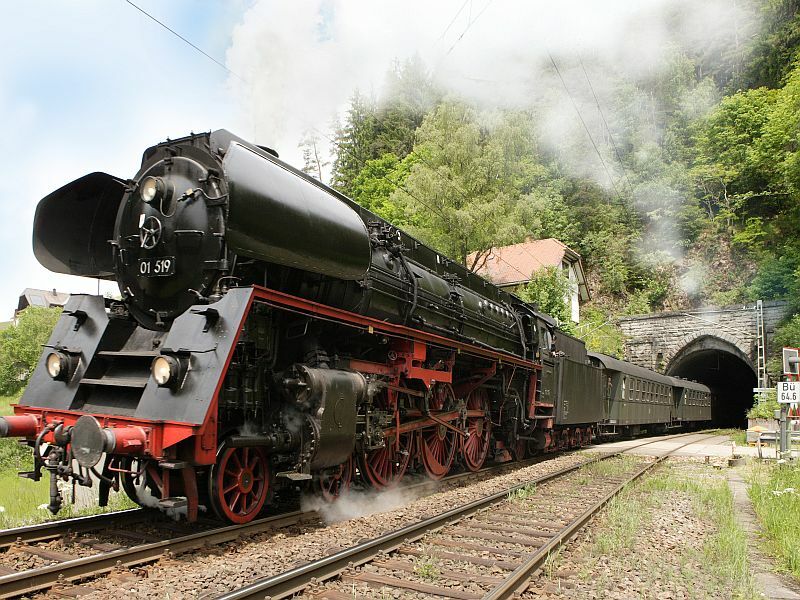 Special trips with the “Schwarzwaldbahn” are organized several times a year in historical wagons as well as with the historical steam locomotive. Enjoy three hours “Schwarzwaldbahn” pure experience. Informative guidance, music, slow travel for photographers and much more will make this trip unforgettable! Dates and more information about the romantic tunnel rides in modern diesel railcars on the historical Black Forest railway line are always currently available here.